The social media campaign is a buzzing word nowadays. But what actually a campaign should look like that may give you desired results? Since every business is integrating social media channels on a large scale and maintaining campaigns for diverse channels might be a tedious task. There comes a real need for social media management systems that not only automate the activities, rather craft the social media content in an efficacious manner. Fan Page Robot, among many other automated marketing tools, is not merely an average social media dashboard to run campaigns. This is an intelligent system designed carefully to facilitate users with an advanced automated social media marketing. Whenever it comes to devise the best social media campaigns, it demands to brainstorm about a number of aspects. You have to look into various elements and the most prominent of them is a highly engaging content. • How are you interacting with users or followers? 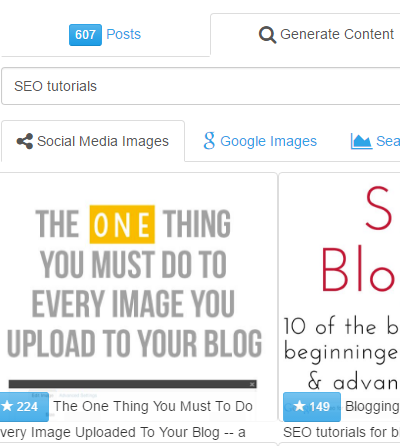 • How much enticing and trending your content is? • Are you able to grab and withhold the target user’s attention with your content? If you are unable to satisfy yourself with answers to such questions, it is the high time to pay attention to social media content. Fan Page Robot is the real savior to rejuvenate your social media campaign with its finest content curation tool. One of the tedious chores while creating posts for social accounts is to come up with viral content. You need an ample amount of time to brainstorm trending ideas that may go viral and grab users’ attention on a wide basis. With Fan Page Robot, viral content generation is simply the matter of a finger click. Entering your target or desired keyword in Content Generator tool will fetch you the most exciting and trending content. This includes news, images, influencers, articles etc. Grabbing user’s attention is one of the vital elements of a campaign, but retaining that interest is another preliminary thing to accomplish. In this regard, the Content Generator tool of the software lets you reveal a variety of content. There will be no probability for your audience to get bored with your social page having a similar type of content every time. In fact, you can share updates, news, lovely images, memes, infographics, informative articles and a lot more. Such a diversified form of content curation will keep your social interaction with target audience at the zenith. They will love to see your posts in their news feed, share those posts and will click through the provided links as well. 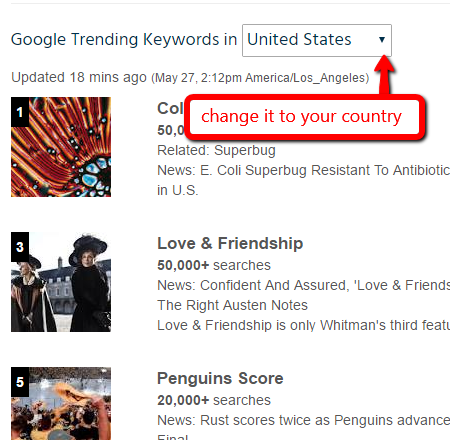 Fan Page Robot lets you find out the trending keywords list by Google. This way you will come across the right keywords for your campaign to focus on. Once you have the keywords with their corresponding statistics and search trends, you can easily devise your social media campaign accordingly. Green- The most trending hashtags and will be discovered quite soon by a large number of people. Blue – Not too much trending and incorporating this tag will get the post discovered in greater time. Pink – An overused hashtag that means using this one will make your post least visible among others with the same hashtag. Sharing splendid images and visuals put a great influence on social media results. But sharing the ones (that you have the right to reuse and modify), it would be a far better option to include your text based watermark there. This will further secure the posts and will help your brand name expanding potentially. Just turn on this feature for the fan page where you have to share an image. Fan Page Robot is not that stereotype tool offering only automation services. It gives you an entire social media strategy that will rock you over your competitors. Rock.ly campaign builder is the most exciting feature that enables you to win the race with increased revenue generation. There is not any restriction to promote your products or services on social channels like Facebook. But what makes it penalized is the overly promotional procedure used to market it. Rock.ly campaign builder gives you the freedom to market your business in a legitimate way without being overly promotional. Everyone dreams of advertising on websites like Yahoo, YouTube etc. What if you are free to do so without spending a single penny? And Fan Page Robot leverages your social media campaigns with this exclusive feature. The Rock.ly URL shortener enables to promote a business on such high authority websites without any additional or hidden charges. 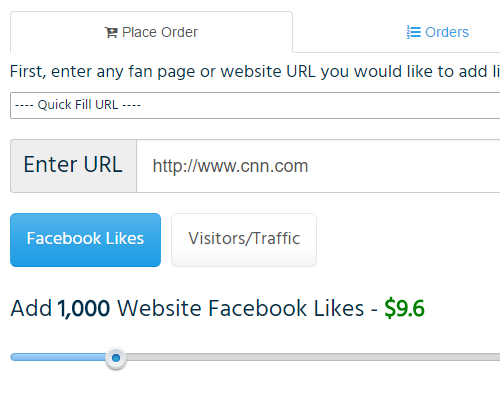 The users will come across the shared post in a usual way but as they click through it, they will be landed to the linked site with the view of your lead generating form. Only the Fan Page Robot subscribers can convert any website or landing page into their lead pages. This is an incredible feature that one cannot find in any other social media tool. An easy to use WYSIWYG ad builder is provided to let the users customize their lead generating forms. With easy drag & drop features and customization options, any one can efficiently create appealing forms that will convert a visitor into lead or customer. As per your priority, you can change the position of lead generating forms as well, appearing on the site. Enhancing the functionality of Rock.ly campaign builder, the software is embedded with 100 stunning designs of lead generating forms. You can incorporate any particular template according to your requirements. You can enable the users subscribed to your newsletter through two options. Either via an email address or through social media accounts. This form is a colorful option that sounds highly converting and will definitely work. Newsletters play a very important role in social media campaigns. This way the users are updated about new arrivals, discount or promotional offers. This elegant theme asks for the name and email address of a user that will let him subscribed to the newsletter. Offering free giveaways puts an exponential impact on social media marketing. It is an effective approach for social media campaigns to offer free e-books relevant to the target market. Having an appealing call-to-action, this lead generating form will compel the users to get subscribed for this alluring offer. In order to facilitate users further, the Rock.ly campaign builder is integrated with giant email marketing programs. MailChimp, AWeber, iContact, GetResponse and some more. This further extends the capabilities of this software and crafts social campaigns with professional tactics. An appealing lead form can be provided for the user to request the free trial of your product or service. Enabling the users to have a free trial is a tactic that will let many users converting into successful leads.